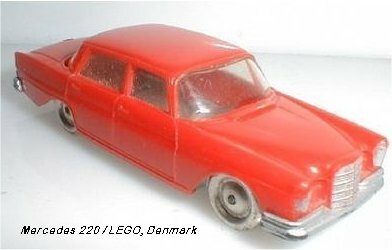 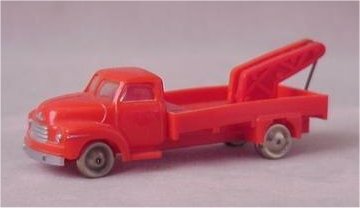 Although LEGO (Leg godt, which is Danish for 'play well') is very well known for their plastic building blocks, there was a time in which they also made car- and truckmodels. 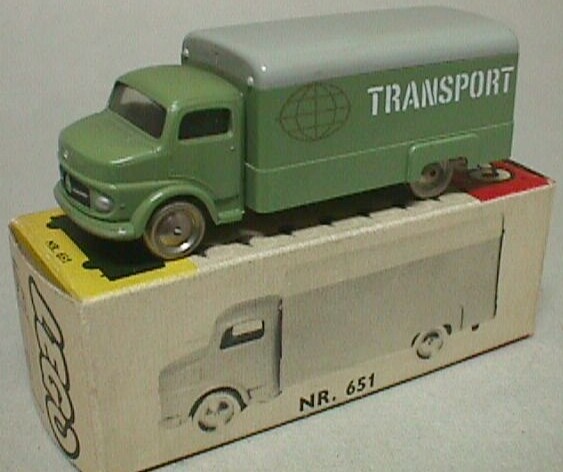 The first models were made out of wood, and later on LEGO combined wood and plastic to produce these larger models. 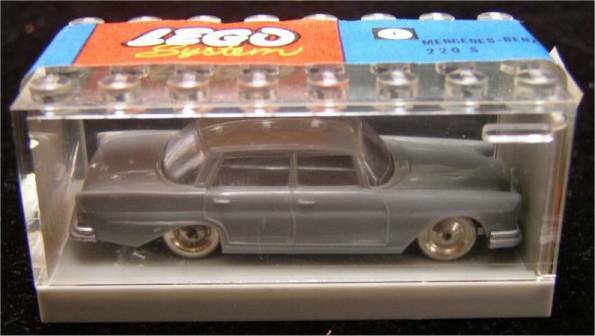 Eventually LEGO started making near 87th scale models, which are, considered LEGO started making them in 1955, very well detailed, most of them have windows and some of the models even have seperate headlight inserts made from clear plastic. 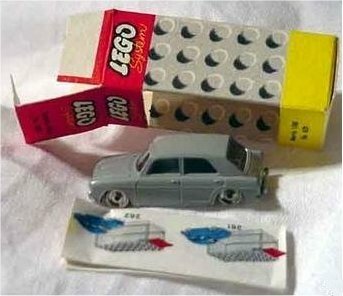 LEGO stopped making them in 1968/1969. 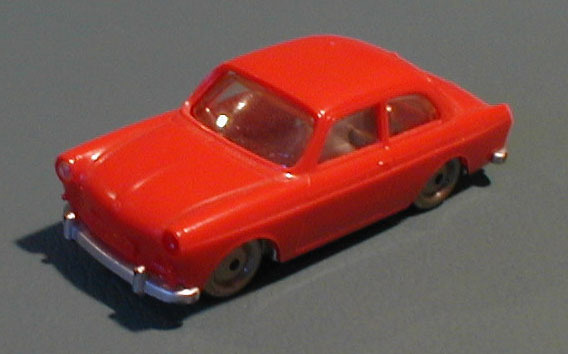 All models were made from coloured ABS plastic, the wheels were made of steel. 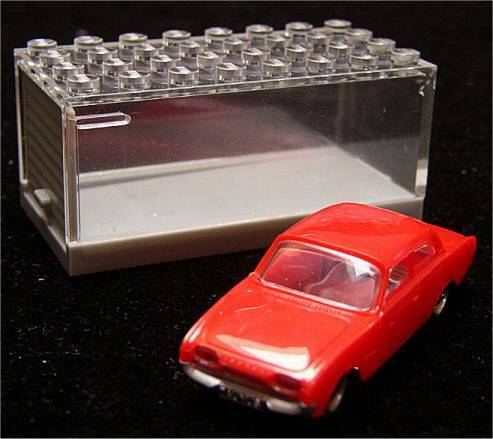 The VW Bugs (#260, 261 and 661) however, were made in a different kind of clear plastic and then painted. 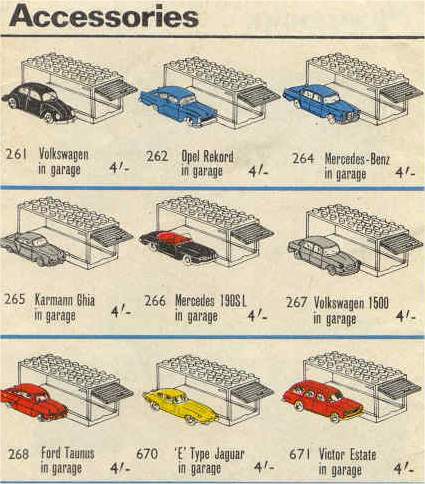 The carmodels were sold together with garages from 1961 to 1964, and seperately from 1964-1967. 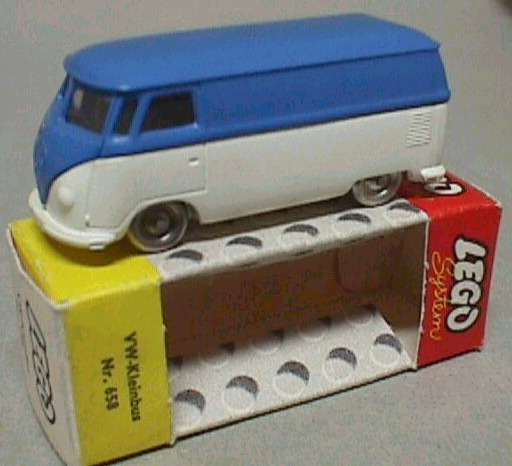 All carmodels are in 1/85, all trucks in 1/90 and finally model #258, a VW Bus is in 1/80 scale.
? 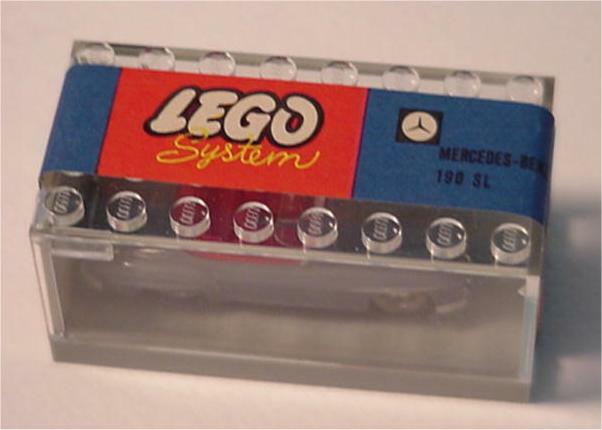 670 Jaguar E-type - ?
? 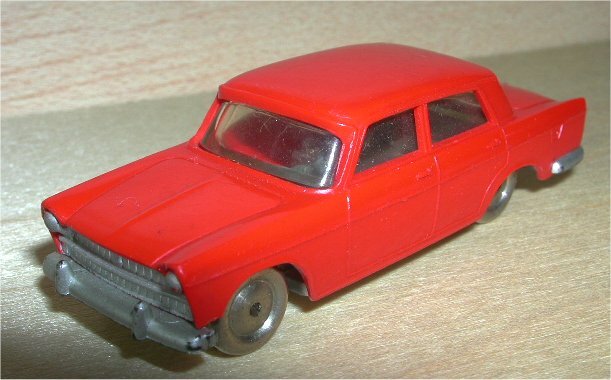 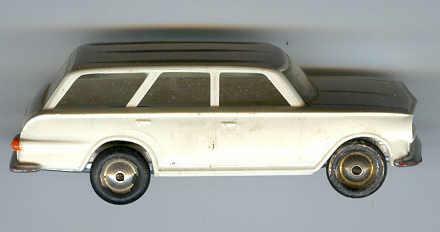 671 Vauxhall Victor Estate Picture of bottomplate with 'LEGO' logo. ? 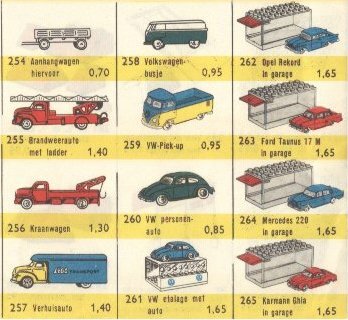 - 270 5 cyclists (motor, scooter, bike, sidecar) ? 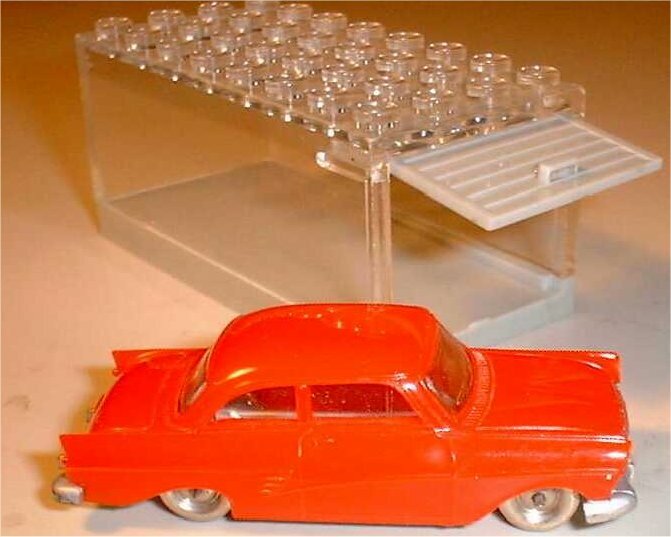 - 271 4 traffic policemen, a traffic light and a traffic cone ?